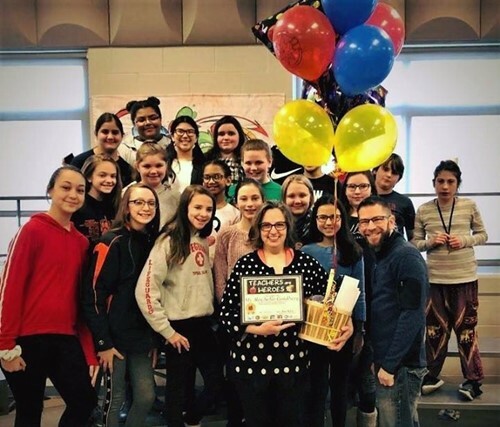 Congratulations to JFS teacher Rochelle Goldberg who was the recipient of the “Teachers are Heroes” Award! Equinox Broadcasting and EBI Career College reward those special teachers who have impacted the lives of their students. Whether it is spending extra time with them on tests and homework or going the extra mile to be a mentor. Each month a teacher is selected and at the end of the school year, one of the nominated teachers and their school district will be the recipient of the Annual Backpack/School Supplies Drive. Winners are selected based on compelling submissions from nominators on the effective and creative ways teachers work with students.